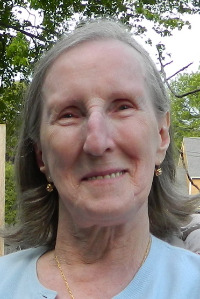 Alice L. Chace (Burton) passed peacefully on March 4, 2019 after a brief illness. She was 90 years old. Devoted wife of the late Harold M. Chace. Loving mother of Paul W. Chace and his wife Mary Ann of Sudbury, Peter A. Chace of Canton, Marc S. Chace of Norwood, Lyn S. Karalexis and her husband Peter of Dedham and Richard M. Chace and his partner Deana Marini Malone of North Easton. She is also survived by 9 grandchildren: Kristin, Alexandra, Cody, Stephen, Katie, Sarah, Olivia, Nicholas and Joseph, as well many nieces and nephews. Visiting hours at the Pushard Family Funeral Home, 210 Sherman St., Canton on Friday, March 8th from 4-8 PM. Relatives and friends are respectfully invited to attend. A Mass of Christian Burial will be celebrated Saturday at St. Pius X, 101 Wolcott St., Milton at 10 AM. Interment will be private.